Members of the Khadidja Moro Women and their supporters during a rally in Davao City in the southern Philippines. 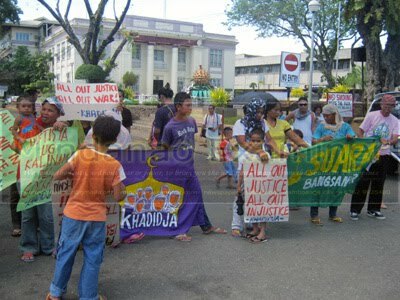 DAVAO CITY (Mindanao Examiner / Nov. 3, 2011) – A Muslim women group has criticized the Aquino government for pursuing military operations in the southern Philippines, saying, the civilians would be greatly affected by the violence. 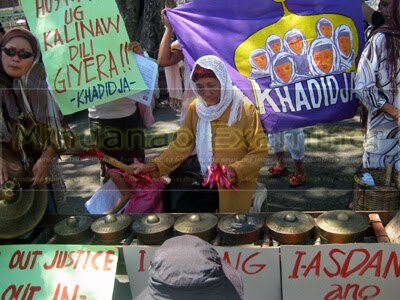 The Khadidja Moro Women said previous military offensive in Basilan and Zamboanga Sibugay provinces have displaced thousands of villagers. 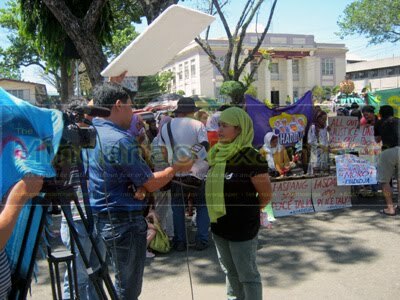 The group recently held a rally in Davao City to protest the continued military operations that could put the lives of civilians at risk. 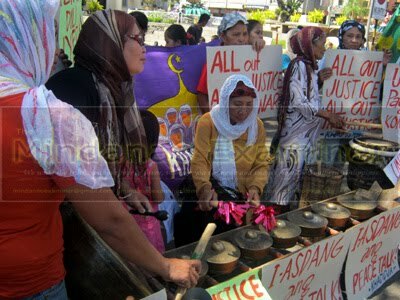 “The ‘all-out-justice’ of President Benigno Aquino is just a media blitz. It’s a total disorientation and mockery of the real sense of justice. How can justice prevail in all those intensive military operations, in those aerial attacks?” asked Carlita Barbosa, the group’s spokesperson. “In order to spare the civilians, and prevent those who are not participating in the armed conflict, the national government must retreat from all forms of military aggression in the Moro areas,” she said, adding all previous wars carried out by the government did not work out to topple down their enemies, but resulted to human sufferings. 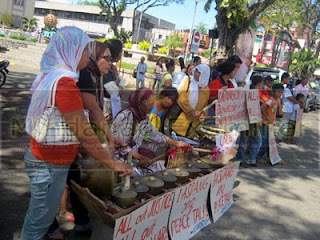 Barbosa called for peace in Mindanao.